love, laurie: happy 75th, aunt ruth! 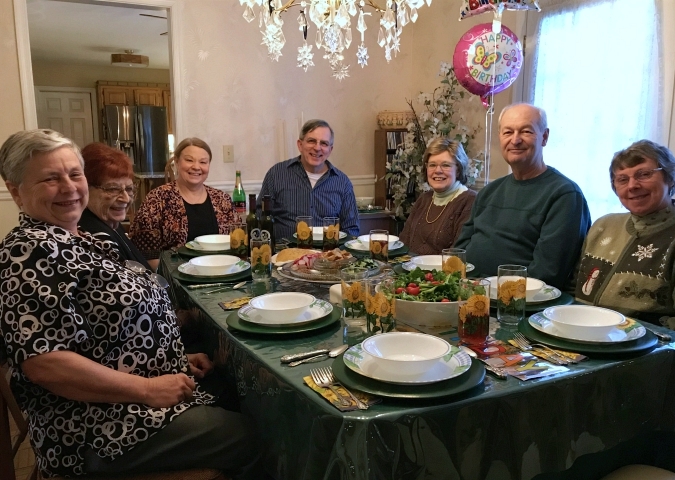 on sunday afternoon, my parents threw a 75th birthday party at their house for our aunt ruth. we enjoyed salad and veggie lasagna for dinner followed by cannoli birthday cake for dessert. it was nice to see everyone and we all had a great time. happy 75th, aunt ruth! 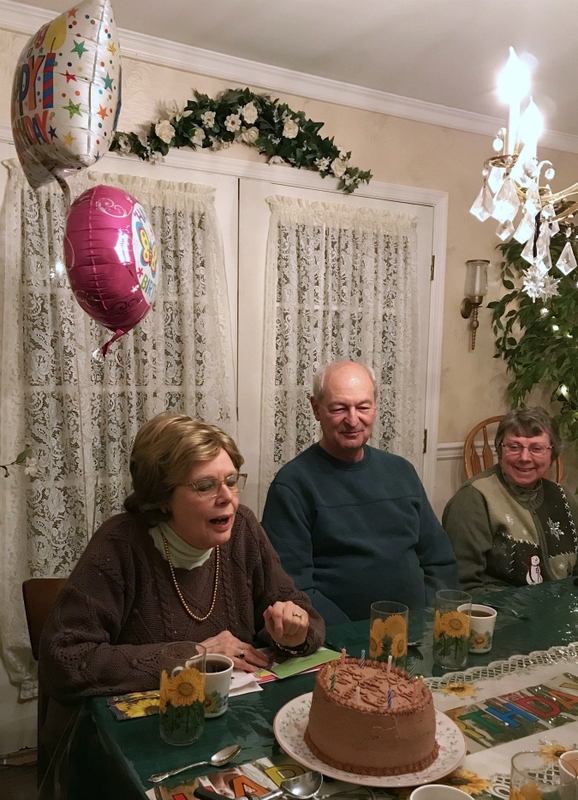 We had a great time celebrating with Aunt Ruth. Thank you for your help with the dinner. It felt good cooking with you again. 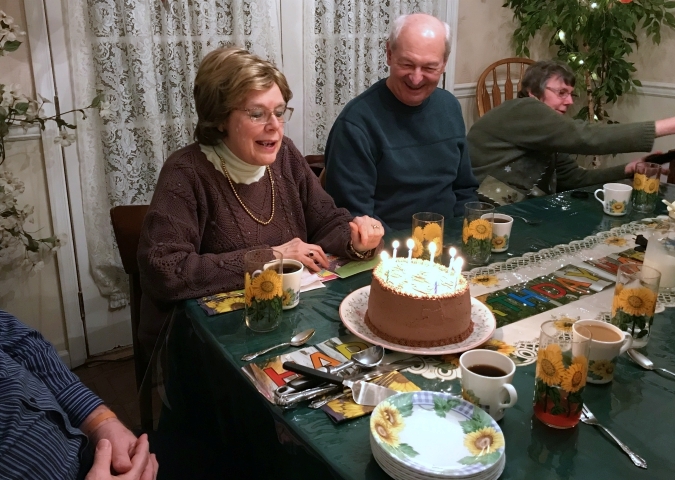 What a grand celebration for Ruth who helps everyone celebrate when she's with us. P@ Wms.